“Enough of our ancestors have made good enough choices that the human species has adapted.” So says Margaret Polski, who, in Wired for Survival, takes us on a journey into the way we think and how it affects the choices we make. Next the author tackles the relationship between thinking and choosing, concluding that “it takes a whole body –– including the brain –– as well as cues in our environment to think and choose.” Polski addresses such intriguing topics as intuitive choice, contextual thinking and “getting a feel” for things. Research being conducted in cognitive neuroscience reveals an interesting aspect of human nature: the fact that our logical decision making is hampered by bias. Says Polski: “We tend to search for information that confirms what we already believe to be true and block out information that challenges our existing beliefs. … We rationalize more than we reason.…” This is an insight that should prove especially helpful to managers. 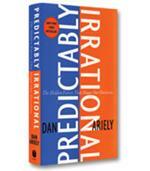 Things get increasingly complex when others are involved, because “social signals” play a role in our thought process. As a result, says Polski, achieving change is not as simple as changing one’s mind: “…we live and work in social groups in particular environments that may or may not be conducive to the changes we wish to or ought to make.” This is one reason why organizational change is so difficult to achieve. The author sees the need for humans to turn this self-destructive behavior around, reducing the bias associated with thinking and choice in the face of modern-day threats. Polski claims we are “wired for survival,” but survival itself requires changing our minds and our environment. This, says Polski, demands new ways of thinking. • To change the “mental maps” that may impede growth, one needs to acquire new experiences, suspend judgment, and understand what other people are doing and why they are doing it. • Identifying key social networks and figuring out how they are organized will help make change easier. • The appropriate use of logic tools will make us more adaptive, despite the fact that most thinking and choice is intuitive. In addition, the author points that the natural balance of the body can impede unbiased thinking. That’s why it is a good idea to use information from many sources. In an era of constant uncertainty and change, it is reassuring to know we each have the ability to survive the challenges, both small and catastrophic, that we will inevitably face. 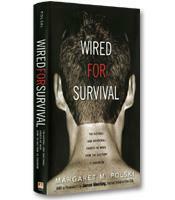 Wired for Survival offers insights and strategies for helping all of us to do so.